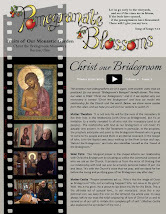 Please enjoy our spring issue of Pomegranate Blossoms. 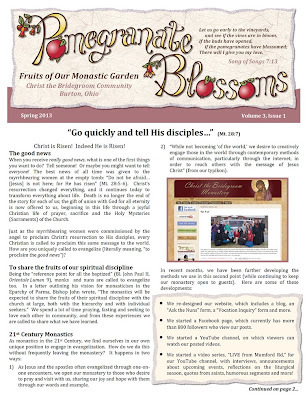 In our cover article we share our thoughts about evangelization in light of the paschal season. 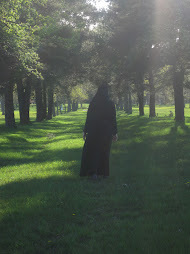 How are monks and nuns called to evangelize? How are you called to evangelize? Inside, we share the opportunities for prayer we've been able to provide in the past few months (although if you've been following our blog you've probably read about them already!). We also give a list of our upcoming spring/summer/fall events! 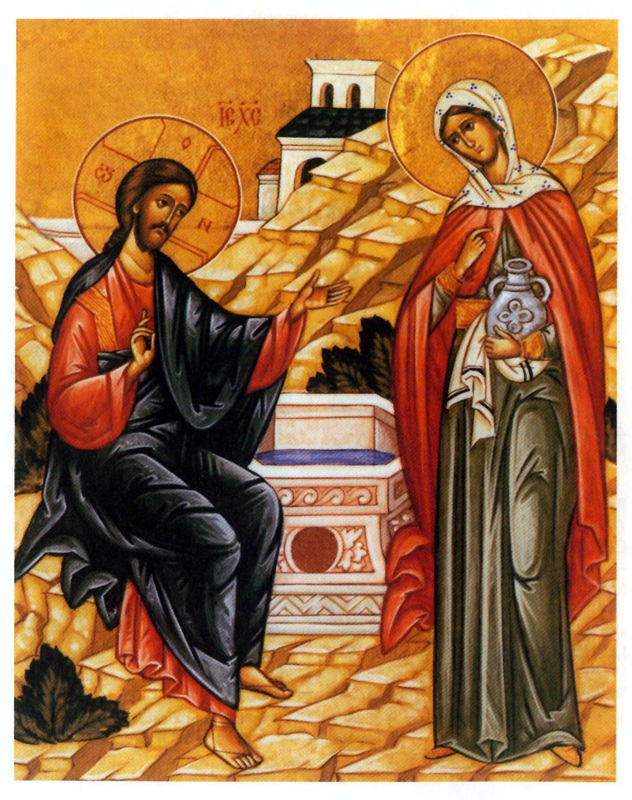 Happy Sunday of the Samaritan Woman, one of our favorites! At the sixth hour, You came to the well, O Fountain of Wonders, to ensnare the fruit of Eve; for at that very hour, she had been driven from Paradise by the guile of the serpent. When the Samaritan woman came to draw water, You said to her, O Savior: Give Me water to drink, and I will give you waters of eternal life. 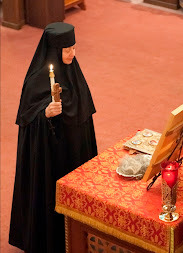 And the woman hastened to the city and proclaimed to the people: Come and see Christ the Lord, the Savior of our souls. 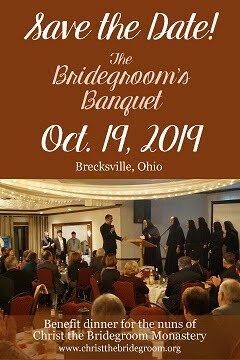 "Coming from the tomb like a bridegroom"